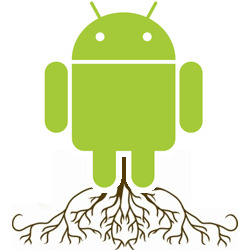 Rooting is a process that allows users of mobile phones and other devices running the Android operating system to attain privileged control (known as "root access") within Android's Linux subsystem with the goal of overcoming limitations that carriers and manufacturers put on some devices. It is analogous to jailbreaking on devices running the Apple iOS operating system. Most retail devices running the Android operating system must be rooted in order to install custom versions of the Android system such as CyanogenMod. This is because in the stock configuration (unrooted), user-installed applications do not have direct access to the flash memory chip on the device and, thus, are not able to replace or modify the operating system itself. Rooting is also necessary for certain applications and widgets that require additional system and hardware rights such as for rebooting the phone, certain backup utilities, and other access to other hardware such as status LEDs. Rooting is also needed to disable or remove manufacturer-installed applications such as City ID. Rooting the phone typically also includes installing an application called Superuser that supervises which applications are granted root rights. For Example I will give the procedures how to root Sony Ericsson Xperia X8. 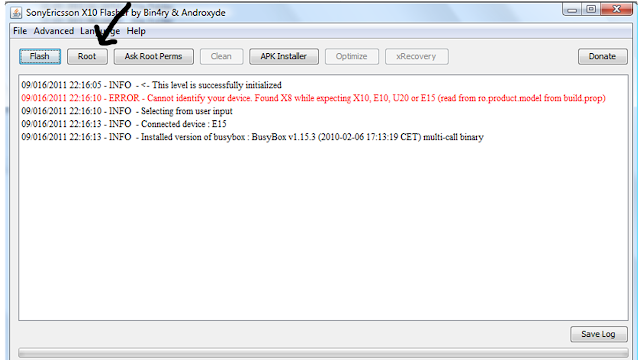 U can ask for the procedures to root ur phone though ,So i will post the tutorials for that also. Back up your contacts and application to SD card before you upgrade your OS. Because when u upgrade the phone memory will be cleared. You can your backup contacts by selecting "Export to SD card" from the "Import/Export" which is in menu of contacts. You can use Astro fileManager(click to download) to take backup application. Next we need to download some tools and files to root your X8. Next What you need is an Custom Cyanogen Rom;You can download any among the below, But recommend you to download Floyo. fixes : sense theme, mpeg4 video-recording,wifi (wpa2+adhoc), some others. Bugs: autobrightness might be dark, not sure yet why. At least its not completely dark. Fixes : Sound, GSM (calls/sms),Sensors (Proximity etc),Bluetooth,some 2d. After downloading every above files Transfer the Busybox (click to download) to your X8 and install it. (You may not able to install it because,ur mobile may be disabled to install non market apks, to enable goto Menu--> Settings--> Applications, and enable the check box Unknown Source ) and enable Usb Debugging mode in settings -->applications -->devolopment. Create a above folder tree in desktop.  Extract the rom into folder os and extract flash tool into folder flash....Doing so will make u understand well. Connect your phone to ur pc with usb cable(Don't mount SD card)(don't make usb debugging mode busy by other application like pdanet or any while you connect to pc). Then go to folder flash and double click x10flashtool.exe. After entering to it asks you to select ur device from a radio button menu. Select X8 from it and check for ur mobile details shown in the window.You ll get a similar page like this there. Then Select Backup and Restore. Select backup for creating a backup of your Original Sony Ericsson os.This will take few minutes. After completing navigate to main menu and select the first option to restart your device. The backup of the os will be present in SDcard--> Xrecovery -->backup.,You can Move this into ur PC and make it secure in PC.,Next transfer the folder in os folder we created in to SDcard--> Xrecovery -->backup. Then exit your file manager and restart the device again. Press back key as before and select Backup and Restore. Now select restore and restore the floyo from it...This process will complete in few minutes..